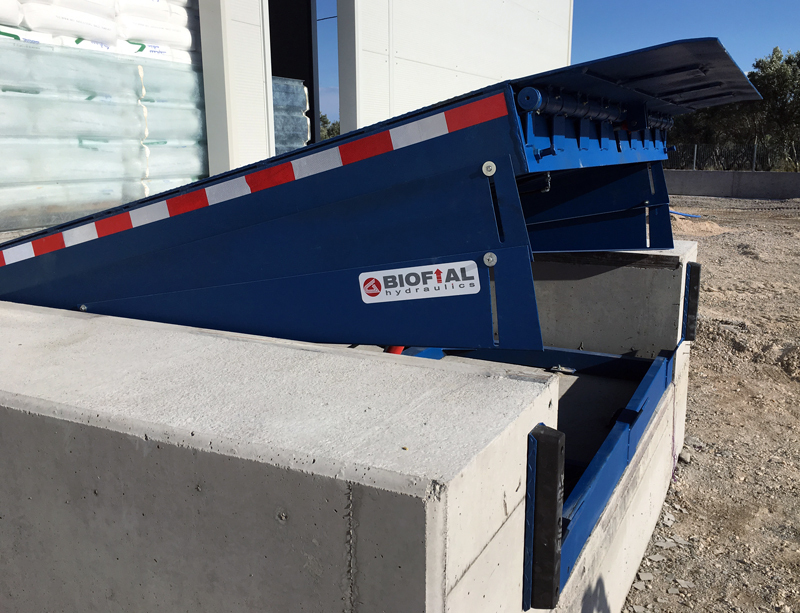 The R&D department of BIOFIAL HYDRAULICS has developed a new category of products to assist industrial facilities, the logistic market and generally companies that handle loading of trucks on a regular bases: the Biofial Hydraulic Dock Leveller. Having the knowledge of quality customized hydraulic applications and with the yearlong experience in serving the construction industry (from all tipping trucks to the mobile concrete mixers and any industrial vehicle for heavy duty applications) we have designed, developed and manufactured this new series of hydraulic products. 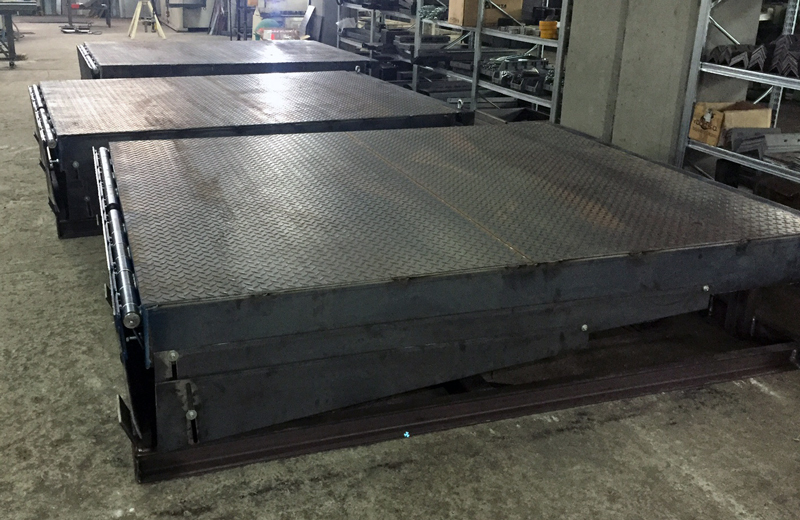 The dock leveller acts as a solid and safe bridging device between the trailer floor and the loading dock, enabling forklifts and other handling equipment to move within the truck with safety and without delays. 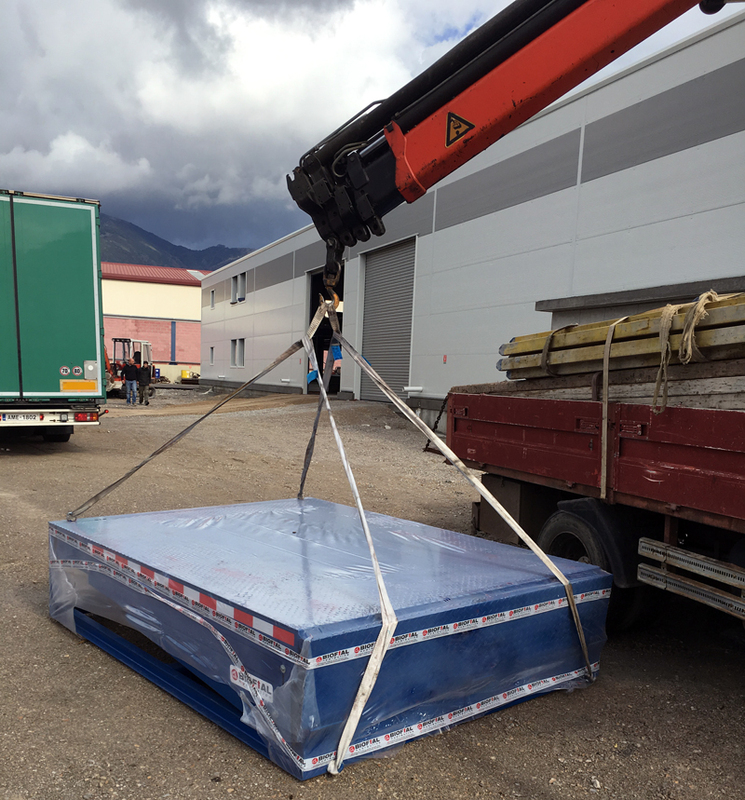 This cuts loading and unloading time to a minimum, resulting in a considerable saving in costs. 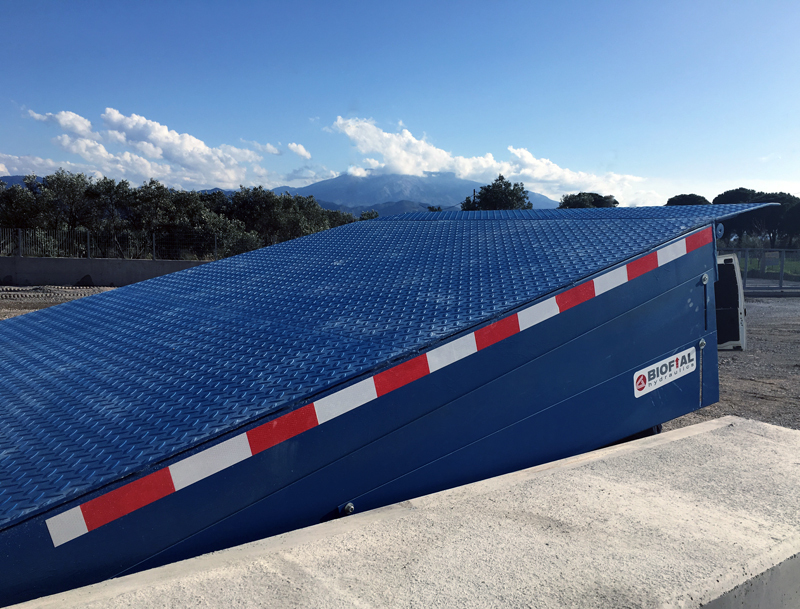 The correct use of dock levellers also considerably reduces the chances of accidents caused by cargos being dropped. 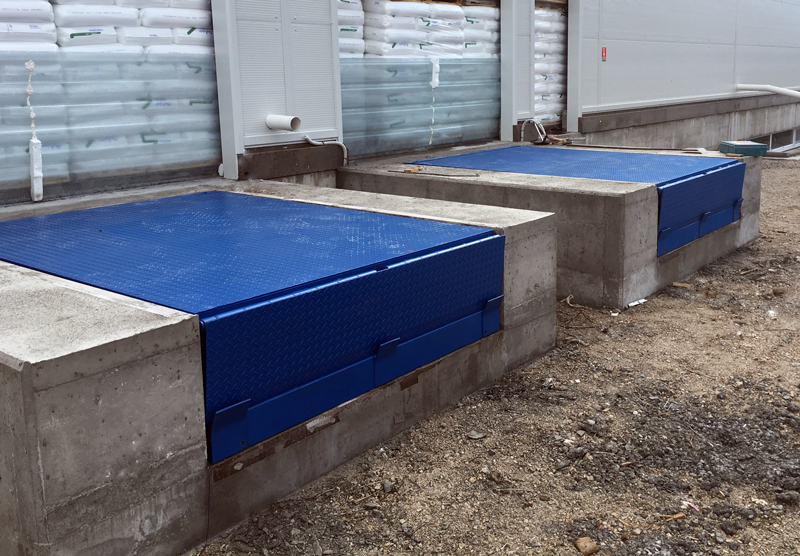 Below you can view photos of some of the dock levellers series that we have already produced and have been installed in a major food packaging industry in Greece, as well as a video that demonstrates its operating process after the installation. Posted in Product, Top news.